A DOWNEND mum-of-two is running her first marathon to raise money for the hospice which cared for her husband. 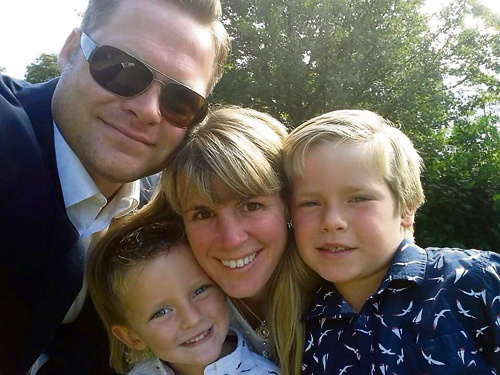 Emma Wood, 42, has been raising money for St Peter's Hospice since husband Steve died just six months after he was diagnosed with bowel cancer in 2015. So far she has collected more than £38,000 and hopes to boost this figure by a further £2,500 when she embarks on the London Marathon on April 28. 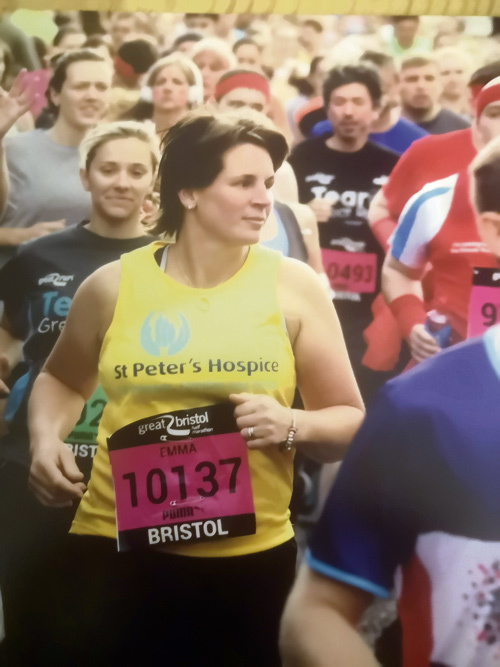 Although it will be Emma's first marathon she is no stranger to running, having completed the Great Bristol 10K in May 2016 in support of St Peter's. Other fundraising achievements include a 35km bike ride, family head shave and football tournaments as well as recently dressing up as a 'Wonder Widow' to help publicise the charity's Midnight Walk, which takes place in July. Steve, an estate agent, had originally been treated for arthritis after experiencing joint pain but was finally diagnosed with cancer in April 2015. The following month Emma and Steve were told the news they feared – the cancer was terminal. St Peter's stepped in and offered support not just to Steve but to the rest of the family including the couple's sons, Freddie and Arthur, now aged 11 and eight. St Peter's support enabled Steve to come home where Emma, along with friends and family, were able to care for him. Steve had several short stays for pain management at the hospice, returning home each time until he was admitted two weeks before his death on November 10, 2015 at the age of 34. Emma, an early years practitioner at a pre school, said St Peter's had been there for her family during their darkest days. Emma said St Peter's couldn't do enough for her family when Steve was admitted to the hospice for the final two weeks of his life. “It's an amazing place. They made us feel really welcome whilst we were there. We set our Xbox up so Steve could play FIFA with the boys. I even took the dogs in to see him. Following such a traumatic year, Emma started running in January 2016 as a form of therapy. She completed the Great Bristol 10k four months later with a time of 1 hour 10. It was an emotional moment for Emma and spurred her on to continue fundraising for St Peter's. Her latest run is somewhat more ambitious given the London Marathon is more than four times the length at 42km but Emma is determined she will reach the finish line. “I'm building up to 20 mile runs and that will be as far as I go until I run the marathon on April 28. Emma's main fundraiser for the London Marathon will be a family quiz evening on April 13 at Lincombe Barn.